As you saw in my previous post (here), I wanted to create a space that felt light, airy and quite gender neutral. 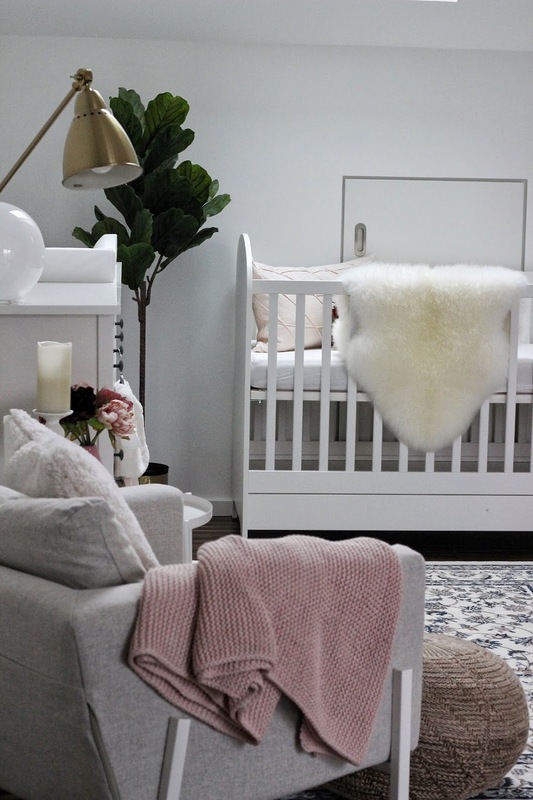 I love the idea of adding pink touches to an otherwise simple colour scheme. 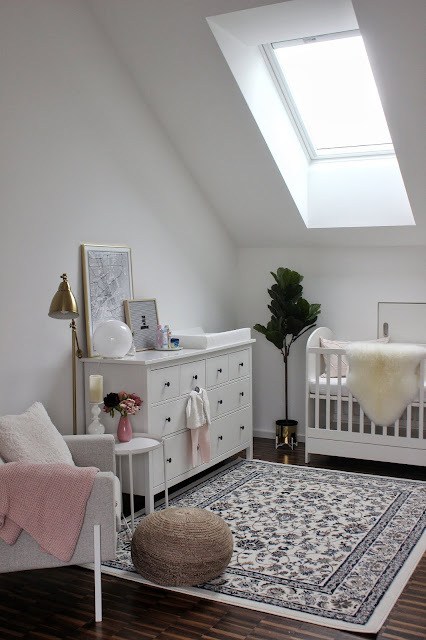 The nursery space you see is actually a corner of our bedroom. 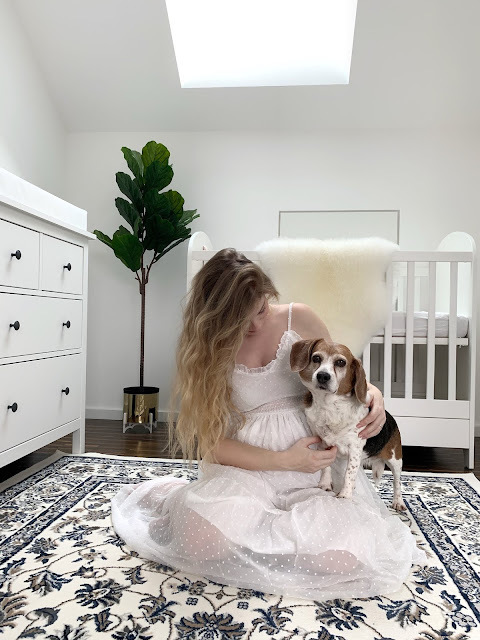 We plan to share the space with the baby for at least 6 months and we are so glad our bedroom has not been transformed from our style to baby style since the furniture is so versatile. 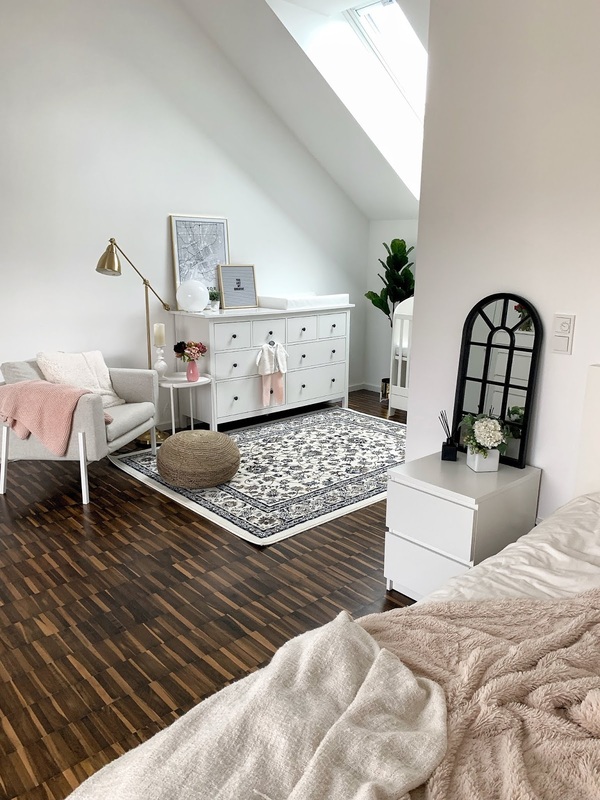 We were able to furnish and decorate the entire space for around €1000! Buying everything you need for a new baby can be a daunting and expensive task, but IKEA´s unbeatable prices and wide range of products fit within anyone´s budget. There are different levels of pricing for various models so you can choose the items that best fit your needs and budget. Just remember to go in with a vision/plan because it´s easy to get distracted and go over budget with so many beautiful things around! 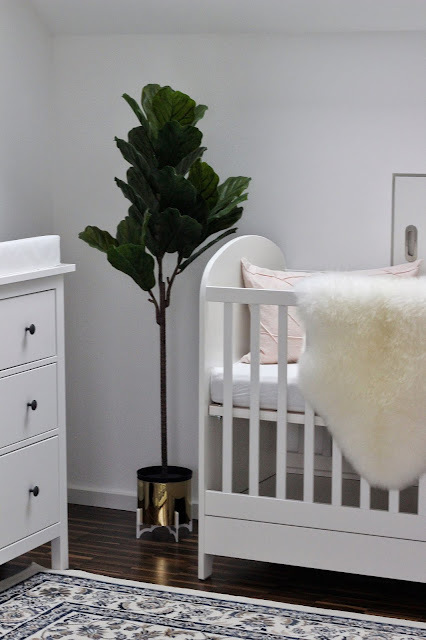 I´ve linked everything we bought from IKEA and listed the prices below so you can easily shop the items you like and design your dream nursery! One last thing - I have some good news! 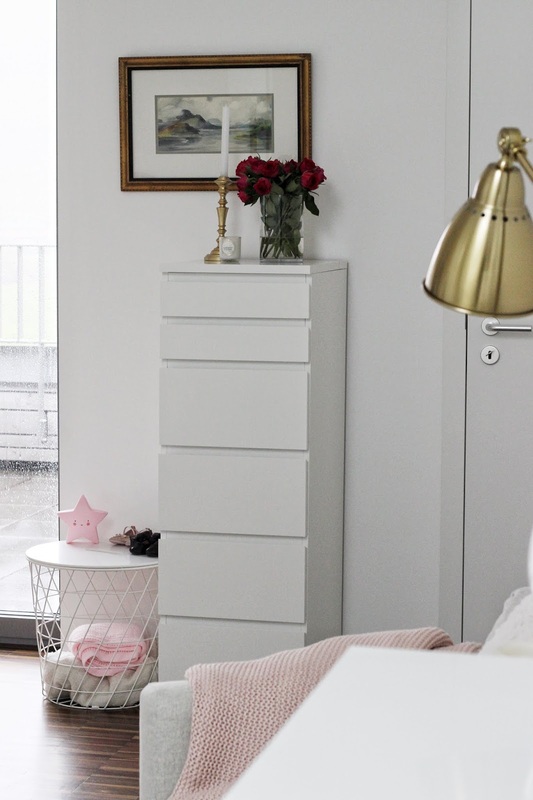 You can now shop at IKEA online in Luxembourg! 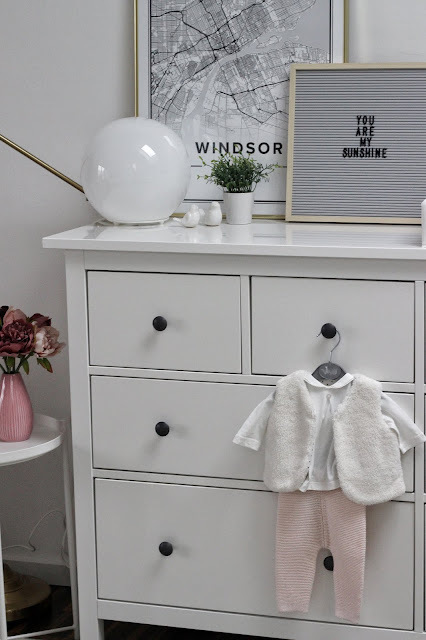 Although the closest IKEA (Arlon) is not too far, this is definitely a game changer. 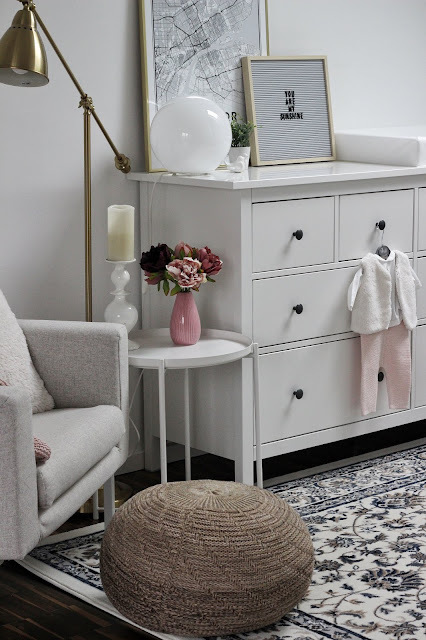 I am already planning on ordering a new coffee table!